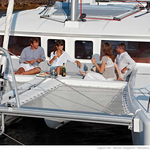 In 2018 has been manufactured yacht Lagoon 450 called CAT Miriam. This sailboat is placed in harbor Seget Donji in the region: Split in Croatia. 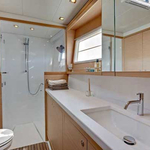 You can accommodate up to 12 crew members on the sailboat CAT Miriam. Layout of berths is 12 (8+2+2). 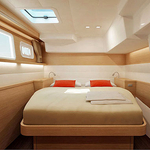 There are 6 bedrooms located under yacht's deck. CAT Miriam is equipped with 4 heads with showers. 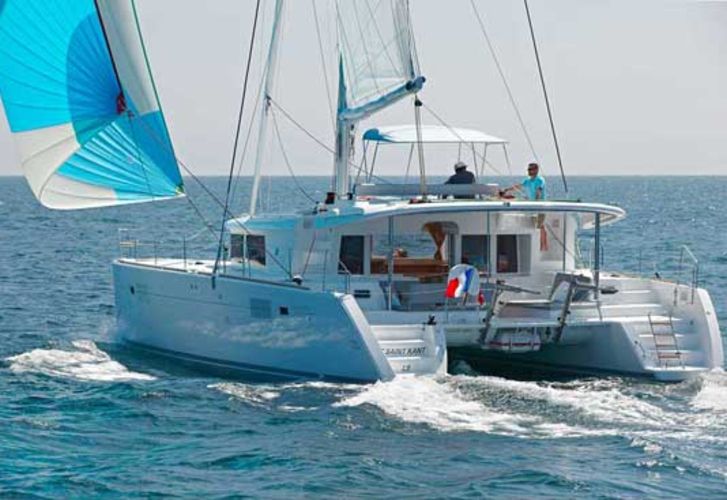 Use this site to find other vessels in section: Catamarans Split. 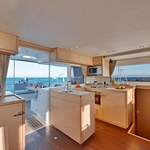 Fuel tank is 1040.00 l liters big , water container has up to 700.00 l l. In this yacht is installed engine 2 X 57 HP. 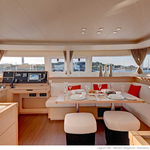 With 13.96 m of lenght and 7.87 meters of beam CAT Miriam offers enough space for comfortable sailing. 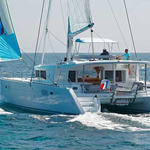 Lagoon 450 CAT Miriam is equipped with: Bed linen, Heating, Radio / cd player, TV, Bimini top, Dinghy, Freezer, generator, Inverter 12v-220v, Autopilot, Gps plotter, Radar. . Nonrefundable caution accounts for 0.00 EUR. 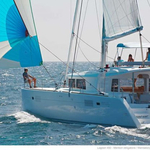 Find different yachts by moving to this section: Catamarans Seget Donji.